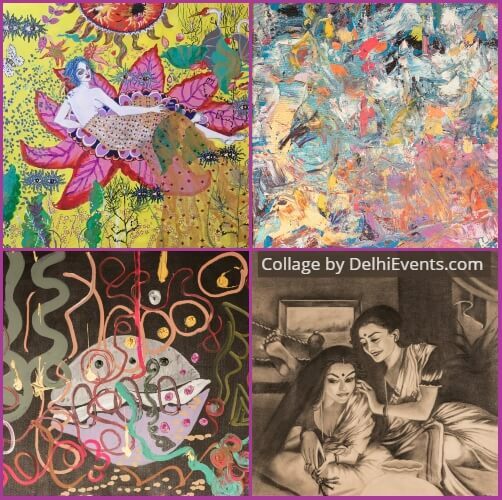 The exhibition is divided into three very distinct themes- India Inspired, Abstract and Contemporary Collections. She holds a double Bachelor in Law and Economics, and a Masters in Law (BC.L.) from the University of Oxford in the United Kingdom. After working in the Hague, with the UN, she returned to India and began practicing in the Supreme Court after which she specialized in International Arbitration at a leading law firm in New Delhi. This is Radhika's second solo art exhibition. Following this, she will hold three more shows in New York, Oslo and Bergen (Norway) to raise funds for the cause. Her previous exhibition, held in Sept' 2017 was inaugurated by Dr. Mahesh Sharma, Hon'ble Minister for Culture and Tourism and Civil Aviation. It was held in support of Women and Child Welfare and attended by over a thousand people over the course of three days.